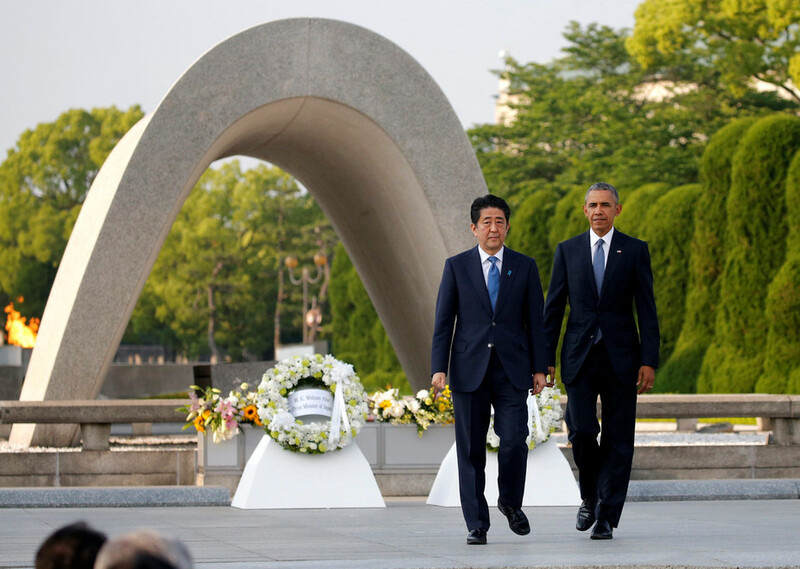 As it seeks to modernize its nuclear arsenal, the United States faces a big choice, one which Barack Obama failed to mention during his moving Hiroshima speech on May 27. Should we spend a trillion dollars to replace each of our thousands of nuclear warheads with a more sophisticated substitute attached to a more lethal delivery system? Or should we keep only enough nuclear weapons needed for a devastatingly effective deterrence against any nuclear aggressor, investing the money saved into other means of making our nation more secure? The first option would allow us to initiate and wage nuclear war. The second would allow us to deter it. These are very different tasks. As physicists who have studied nuclear reactions and cataclysmic explosions, we are acutely aware that nuclear weapons are so devastating that merely a hundred could annihilate the major population centers of any potential state enemy. That prospect is enough to deter any rational leadership – while no number of weapons could deter a mad one. Waging nuclear warfare could involve using vastly more warheads to strike diverse military and industrial targets. So, is maintaining the ability to initiate nuclear war worth a trillion dollar investment? 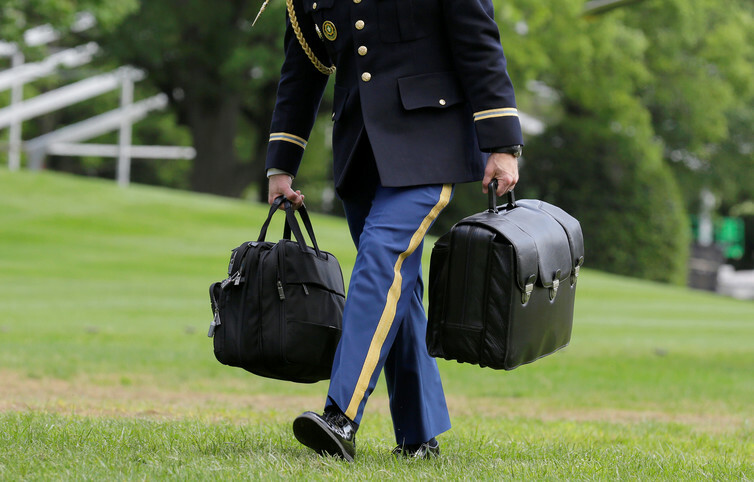 A soldier carries the briefcase containing nuclear weapons codes for U.S. President Barack Obama. The U.S. and Russia currently have about 7,000 nukes each, largely for historical reasons. That’s over 13 times as many as held by the other seven nuclear powers combined. When the Soviet Union was perceived to be a threat to Europe with its numerically superior conventional forces, the U.S. stood ready to use nuclear weapons in response. We were prepared not only to deter the use of nuclear weapons by others, but also possibly to initiate nuclear warfare, and to use nuclear weapons in battle. Now the tables have turned and NATO is the dominant nonnuclear force in Europe. But other arguments for maintaining the ability to initiate nuclear war remain, positing the utility of “compellance” (also known as “nuclear blackmail”) or using the threat of nuclear attack to extract concessions. This strategy has been used on several occasions. For example, when President Eisenhower threatened the use of nuclear weapons to compel negotiations ending the Korean War. In today’s world, with nuclear technology more widely accessible, compellance is no longer straightforward. If a nonnuclear nation feels it is subject to nuclear bullying, it can counter by developing its own nuclear deterrent, or enlisting nuclear allies. For example, U.S. nuclear threats inspired North Korea to mount its own nuclear program, which is, to say the least, not the result we were hoping for. 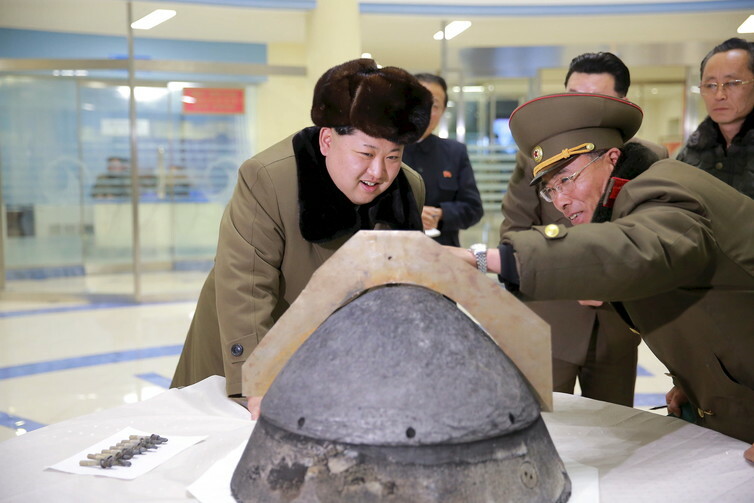 North Korean leader Kim Jong-Un looks at a rocket warhead tip after a simulated test of atmospheric reentry of a ballistic missile. Such missiles are often used to deliver nuclear weapons. Another development is the emergence of modern threats to the U.S. and its allies against which nuclear compellance is rather useless. For example, nuclear weapons didn’t help prevent 9/11. Nor did they help the U.S. in Iraq, Afghanistan, Syria or Libya – or in the battle against terrorist groups such as Al-Quaida or the Islamic State. These considerations raise the question of whether we might actually improve our national security by forswearing compellance and committing to “No First Use.” That is, committing to using nuclear weapons only in response to their use by others. This deterrence-only approach is already the policy of two other major nuclear powers, China and India. It is a mission we could fulfill with a much smaller and cheaper arsenal, freeing up money for other investments in our national security. By easing fear of our intentions, this could also reduce further nuclear proliferation – so far, eight other nations have developed nukes after we bombed Hiroshima, and all except Russia have concluded that deterrence requires fewer than a few hundred nuclear weapons. Indeed, hundreds of warheads may be a more convincing deterrent than thousands, because use of the latter might be an act of self destruction, triggering a decade-long global nuclear winter that would kill most Americans even if no nuclear explosions occurred on U.S. soil. ‘No First Use’ or ‘Pay to Play’? Whatever one’s opinion on No First Use, it is a question with huge implications for military spending. Were the U.S. to pledge No First Use, we would have no reason to deploy more nuclear weapons than required for deterrence. We could save ourselves four million dollars per hour for the next 30 years, according to government estimates. Nuclear weapons involve many complex issues. But one crucial question is beautifully simple: is our aim strictly to deter nuclear war, or should we invest the additional resources needed to maintain our ability to initiate it? No First Use, or Pay to Play? We urge debate moderators, town hall participants and anyone else who gets the opportunity to ask our presidential candidates this crucial question. American voters deserve to know where their candidates stand.